Fall is practically here, and winter is not far behind. It’s time to get some of the bigger fall home maintenance jobs taken care of so you can enjoy the coming cooler weather indoors. Fall exterior projects are primarily about protecting your home and belongings, and tending to anything that could increase your heating bills over the winter. (Read: Exterior Home Maintenance Checklist to Inspect Your Home) With those jobs out of the way, you can settle in and know that everything from your siding to your lawnmower will be in good shape come spring. Here are 5 items that you don't want to skip, to protect your home and make it comfortable through the winter. Even a small gap around a window or door or along the siding or foundation can lead to a lot of heat transfer. That equals a draft inside, and higher heating bills this winter. A tube of exterior-grade caulk will seal those gaps, and help keep the cold outside where it belongs. Check for old, cracked or loose caulking around windows and doors, and replace it if necessary. Gaps or cracks in the siding or foundation also need a sealant. Once the weather turns cold, caulk won’t cure properly. It’s best to handle this job while the temperatures are still above 40 degrees. If your home needs a new coat of paint on the siding or trim, fall is the ideal time for it. (Read: Exterior Paint: A Great Home Improvement Idea) The humidity is lower, and the temperatures are more moderate but you've got to act fast because you can't paint after temperatures fall below 40 degrees. Storm windows are another layer of protection against drafts and heat transfer. Installing them after you need them, after temperatures plummet, isn’t anyone’s idea of fun. Taking them out of storage and installing them early means you won’t find yourself bundled up outside for the job. If you don’t own storm windows, now is a great time to get an estimate. Even newer windows can benefit from the protection of another layer of glass on the outside to block wind, rain, and snow. They can also transform a sun room into a 3-season room. Autumn leaves can be beautiful scattered on the lawn, but if you have more than a couple of trees, they can add up fast. Raking the yard at least once a week while the trees are shedding means the job will never get out of hand. Some areas have a leaf removal service provided by the city. If yours has one, you can usually rake to the curb, and the city will handle the rest. Otherwise, consider mulching them or starting a compost pile to use in the spring. Once the landscape maintenance season is over, it’s time to clean all your tools and prep them for a winter of rest. This means cleaning off dirt that’s accumulated on shovels and rakes, removing glass clippings from your mower and its blades, and protecting everything from deterioration over the winter. 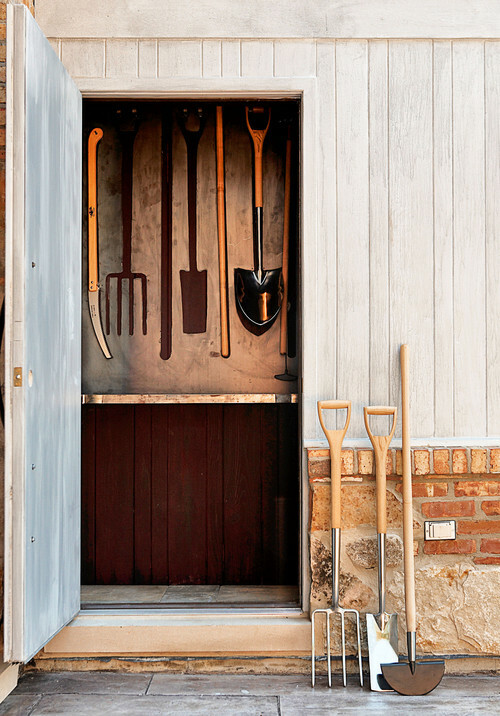 A light coating of mineral oil will keep metal tools and lawnmower blades from rusting in a shed or the garage. Briggs & Stratton recommends either running your mower until it uses up all of its fuel before storing for the winter, or filling up the tank and adding a fuel stabilizer. Running it out of fuel is easier. A half-full tank can take on moisture, which can lead to rust. 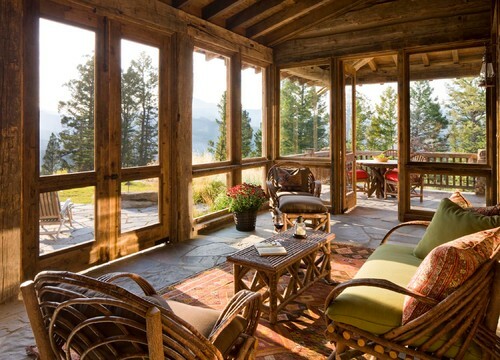 Fall exterior home maintenance is a bit time-consuming, but the rewards are well worth it. You’ll protect all of your investments, and live more comfortably, too. Once springtime rolls around again, your home’s exterior will look great, you won’t have to worry about sealing air gaps to keep out the heat, and all of your garden tools will be ready to go back to work again. How do you plan to settle in for the winter? We would enjoy hearing your home maintenance stories!